The 2015 NBA Finals was the championship series of the 2014 – 2015 season of the National Basketball Association (NBA) and the conclusion of the season’s playoffs. The Western Conference champion Golden State Warriors defeated the Eastern Conference champion Cleveland Cavaliers in six games (4–2) for the Warriors’ first title in 40 years and their fourth in franchise history, becoming the first team since the 1990 – 1991 Chicago Bulls to win a championship without any prior Finals experience from any player on their roster. 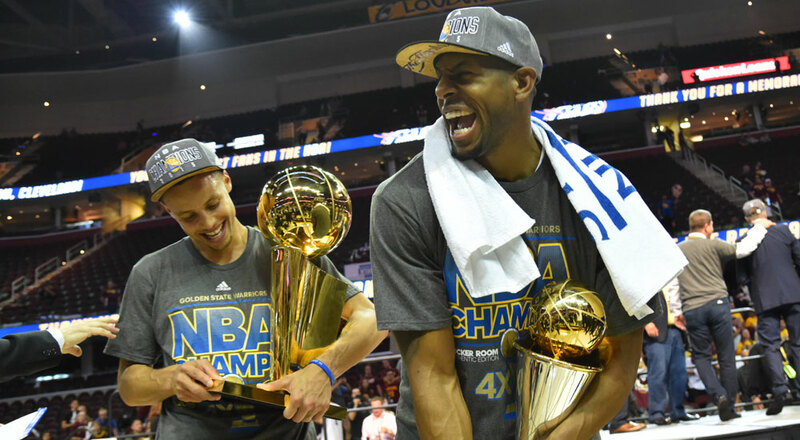 Golden State’s Andre Iguodala was named the Finals Most Valuable Player (MVP).